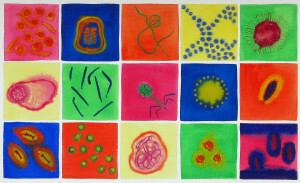 Many artists are inspired by the microbial world – viruses, bacteria, fungi, or even anything that needs a microscope to observe. As I find webpages by such artists I’ll add them here. If you have a suggestion for an addition, please leave a comment.